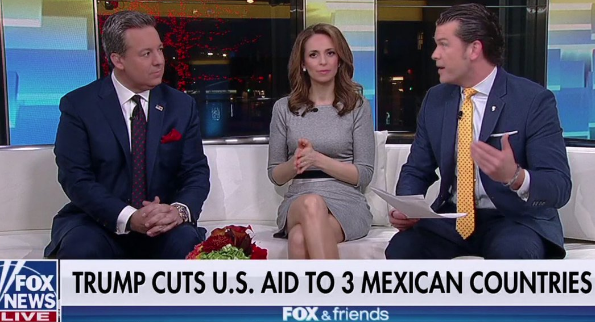 Sunday morning's Fox &amp; Friends applauded President Donald Trump's directive to cut aid to Central American countries by declaring, "Trump Cuts U.S Aid to 3 Mexican Countries." The State Department notified Congress that it would look to suspend 2017 and 2018 payments to El Salvador, Guatemala and Honduras. The "Fox &amp; Friends Weekend" show issued an apology after displaying an embarrassingly inaccurate graphic.